At the end of 2015, Oracle acquired a DevOps startup out of Austin named StackEngine. While this acquisition by the 800 pound gorilla in Silicon Valley might have been a surprise to many, getting on Oracle’s radar wasn’t just dumb luck. In fact, it was exactly the opposite of luck. Two factors played a critical role in moving from seed funding to being acquired in under 18 months: First, building a startup and a product that was tackling an emerging but exploding niche area (in StackEngine’s case, container management for Docker). Second, timely, poignant and ongoing commentary to media covering the space about where the Docker ecosystem is now and where it’s heading. The success of this exit by StackEngine begs the question: Can a startup increase its chances for a successful exit? While I’m admittedly an entrepreneur building my first bootstrapped startup, over the past 16 years I’ve had the opportunity to collaborate with a number of entrepreneurs with successful exits under their belts and with VCs that invest in dozens of startups that have exited. Since starting Treble in April 2013, we’ve represented five different startups that have subsequently been acquired. Every time Treble has lost a client via a successful acquisition, I can only sit back and smile because, in this case, a loss is actually a win. While PR may not have been the primary driver to secure an acquisition, it definitely accelerated the process. On that note, I’ve outlined below three key rules that can give entrepreneurs a competitive advantage by increasing the odds for a successful exit. Let’s take a step back and look at the macro view of the tech startup world in 2016. Relatively easy access to capital has created a plethora of startups – not just from Silicon Valley – but from every corner of the world. Nearly every startup is vying for media attention. Yet that only tells half the story. Meanwhile, the media landscape is rapidly consolidating with high-profile sites like GigaOM shutting down and more and more reporters leaving for in-house gigs as publications continue to cut costs via extensive layoffs. Collectively, these factors combine to create an environment where a startup’s ‘big launch’ is as likely to be covered by the likes of The Wall Street Journal or TechCrunch as Congress’ approval rating rising above 20 percent. In other words, not very likely. For StackEngine in particular, the startup was in a hyper niche space, relatively speaking, versus the broader tech world e.g., container management for DevOps, compared to the likes of a Slack (collaboration), Munchery (food delivery) or Jet (e-commerce). This didn’t prohibit them from success with a $1M seed funding announcement and landed them on Techmeme. In a world of companies locking in double digit million rounds as regularly as a Trump combover first thing in the morning, you have to separate yourself from the herd. We led with the fact that StackEngine was solving a broader industry problem. How? By offering up Bob Quillin and Eric Anderson, savvy entrepreneurs with prior acquisitions under their belt, to discuss how StackEngine planned to attack these DevOps management issues and how they would compete and simultaneously partner with Docker. The $1M seed funding was just the icing on the cake. The subsequent media coverage led to inbound partnership requests from Fortune 100 companies and a bevy of customers. The startup was well on its way with a very hot start fueled by prominent media coverage. Key takeaway: Announce your company to the world by focusing on macro-level trends and clearly describe how your startup fits into a particular industry sector. Separate yourself from the herd of other startups by focusing on the real problems facing the industry and be readily available to provide candid analysis of what can be done to solve those problems. This question stumps even the brightest of CEOs. One of my early reporter mentors encouraged me to ask this question to prospective clients. If they have trouble answering it in 10 seconds or less – it’s a glaring red flag. It’s my experience that unless you are one of tech’s FANG companies (Facebook, Amazon, Netflix or Google) or a similar media darling per the likes of Uber, Lyft, Pinterest, Docker, etc., from a media perspective, no one cares about your product. The media does not care about your new UI. They don’t care that you’ve expanded to the New York City market. I do recommend announcing ‘strategic’ growth related news, but more so for your prospective customers and investors. The media simply doesn’t care. It’s not because they aren’t nice, but rather because they are overwhelmed with covering important and time-sensitive news that actually impacts millions of people (often several times in one single day). The media does love a good story. Former Treble clients including Palo Alto startup Joyride (acquired by Google) focused on the future of the connected car and its unique value prop in the Android Auto ecosystem. Austin startup Boxer (acquired by VMware) focused on people not being defined by their Inbox. San Francisco startup Addvocate channeled the success of SnapChat and Twitter to elevate their brand recognition for an eventual acquisition by Trapit. Key takeaway: Understand the power of media coverage in positioning your startup for an acquisition by always making the CEO available to have a candid interview. This interview will likely not be about your startup at all, however, the real ‘win’ is the fact your company is part of this broader conversation. When prospective startups come to Treble for a project, I am more than likely going to say “no”. Media relations is a marathon, not a sprint. In my humble opinion, one of the worst things a company can do is to make a big splash in the press and then go ‘dark’. By dark, I mean waiting to engage media until your ‘next big announcement’. That’s because by the time your next big announcement comes around, you’ve already lost the battle. The media isn’t paying attention to you anymore. The biggest thing every startup can do is to use content and trendjacking to create a steady cadence of media coverage. The results are ideally two-fold: First, increased inbound customer and partnership opportunities that drive revenue. Second, getting on the radar of potential acquirers who would are increasingly utilizing M&A to stay ahead rather than absorbing the R&D costs of building it themselves. Companies like Symantec, HP, and Cisco may recognize that young startups are outdoing them and make a move to acquire them. Some of them will recognize value in these startups and say ‘I got to get me some of that’ and acquire it, and some of (the startups) will fight it off and say they want to be the next big incumbent. I think these big guys realize that there’s money to be made here. We’re not the greatest at innovating, but these young startups are. Key takeaway: We are in the midst of an M&A boom where it’s cheaper and more efficient for a global incumbent market leader to acquire an innovative startup at a healthy premium. The ones that get acquired tend to very clearly solve a niche problem. Utilize the power of the media to make yourself visible to decision makers at these organizations. 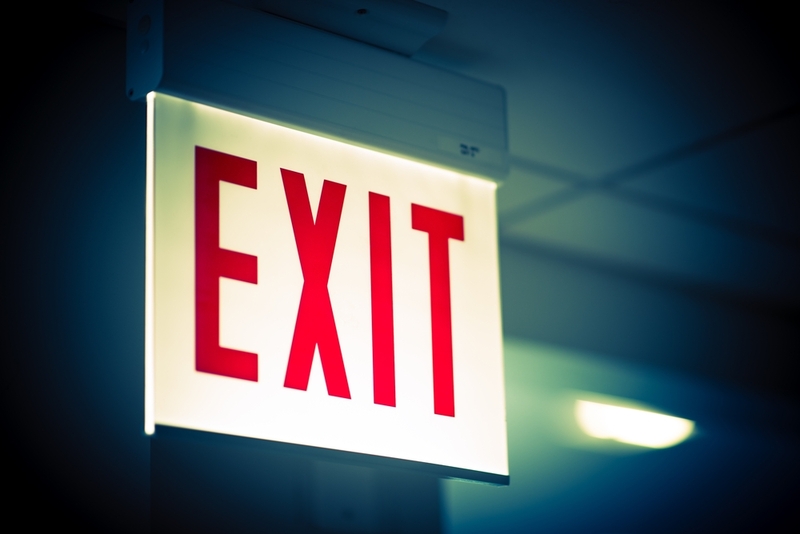 Every startup is looking for some type of exit, whether it’s via acquisition or IPO. By having a gameplan for PR similar to your product roadmap, you dramatically increase your odds.